Purpose This systematic review was conducted to identify the impact of upper body warm-up on performance and injury prevention outcomes. Methods Web of Science, MEDLINE, SPORTDiscus, PsycINFO and Cochrane databases were searched using terms related to upper extremity warm-up. Inclusion criteria were English language randomised controlled trials from peer-reviewed journals in which investigation of upper body warm-up on performance and injury prevention outcomes was a primary aim. Included studies were assessed for methodological quality using the PEDro scale. A wide variety of warm-up modes and outcomes precluded meta-analysis except for one group of studies. The majority of warm-ups were assessed as having ‘positive’, ‘neutral’, ‘negative’ or ‘specific’ effects on outcomes. Results Thirty-one studies met the inclusion criteria with 21 rated as having ‘good’ methodological quality. The studies investigated a total of 25 warm-up modes and 43 outcome factors that could be grouped into eight mode and performance outcome categories. No studies of upper body warm-up effects on injury prevention were discovered. Conclusions Strong research-based evidence was found for the following: high-load dynamic warm-ups enhance power and strength performance; warm-up swings with a standard weight baseball bat are most effective for enhancing bat speed; short-duration static stretching warm-up has no effect on power outcomes; and passive heating/cooling is a largely ineffective warm-up mode. A clear knowledge gap in upper body warm-up literature is the lack of investigation of injury prevention outcomes. Total body and lower extremity warm-up has the potential to both enhance performance and prevent injuries; however, no reviews have been conducted to determine whether and how these effects are replicated in the upper extremity. Considering the different injury mechanisms of common sites of upper and lower extremity injury3 ,4 and differing motor pathways to upper and lower body performance, warm-up effects on the upper extremity need focused investigation. We conducted a systematic review to address questions regarding the optimum upper body warm-up modes for (1) performance enhancement and their physiological correlates across strength, power, endurance, flexibility and accuracy outcomes and (2) injury prevention. Search criteria are detailed in table 1, and include all relevant subject headings. Relevant studies were identified through an initial screening of article titles and abstracts from database and bibliographic search results, followed by a full-text review of all articles deemed potentially relevant, and a final analysis of their adherence to inclusion criteria. All included studies were assessed according to the PEDro scale,5 a systematic tool used to critique RCTs, by two authors (JMM and MH), with consultation from the third author (BJA) to resolve disagreements. Papers were given a score from 1 to 10 from a composite of PEDro scale items 2–11;5 item 1 is related to external validity and is not used in the scoring, as per the published PEDro guidelines. Using this scale, studies were classified as having excellent (9–10), good (6–8), fair (4–5) or poor (<4) methodological quality. Additionally, the primary outcome(s) of included studies were summarised and classified based on the impact of warm-up on these outcome(s). Studies were assessed as having either ‘positive’, ‘neutral’ or ‘negative’ outcomes according to whether the investigated warm-up enhanced, had no effect or degraded, respectively, performance outcome(s). Studies for which positive/neutral/negative designations were inappropriate (eg, comparisons of two or more modes of warm-up intervention with no control group) were assessed as reporting ‘specific effects’. Meta-analysis could only be conducted for four studies that investigated the impact of baseball-specific warm-ups on baseball bat speed, using comparable warm-up conditions. Level 1: Strong research-based evidence: generally consistent findings in multiple high-quality RCTs. Level 2: Moderate research-based evidence: generally consistent findings in one high-quality RCT and in one or more low-quality RCTs, or generally consistent findings in multiple low-quality RCTs. Level 3: Limited research-based evidence: one RCT (either high quality or low quality) or inconsistent or contradictory evidence in multiple RCTs. Level 4: No research-based evidence: no RCTs. See figure 1.8 There were no included articles that investigated the effects of upper body warm-up on injury prevention; all 31 articles studied performance outcomes (see tables 2 and 3). PRISMA flow diagram of literature screening process. The total sample size of all included studies was 628 participants (478 male, 124 female, 26 unreported) with an average sample size of 19±16 per study. Sixteen of the included articles investigated warm-up in a population of sport athletes (3 studies of adult athletes, 1 high school, 3 youth, 9 university), with the other 17 studies being investigations of the general population (8 adult, 9 university). A detailed breakdown of study populations, warm-up modes, outcome factors and outcomes can be found in table 4. Table 5 reports the breakdown of positive/neutral/negative/specific effect outcomes from various warm-up/outcome pairings. ‘Warm-up/outcome’ pairing refers to the investigation of the effects of a specific warm-up mode on a single outcome measure. For example, Moran et al's9 study reported that static stretching had no effect on the golf club head speed or golf club head swing pattern, while dynamic stretching positively impacted both these outcomes. Thus, this study yielded two neutral warm-up/outcome pairings (static stretching/power and static stretching/accuracy) and two positive warm-up/outcome pairings (dynamic stretching/power and dynamic stretching/accuracy). As seen in figure 2, bat speed is significantly decreased by ‘dry swing’ warm-ups with either lightweight or heavyweight bats in comparison to the increase observed when using a standard weight bat. Our results demonstrate that there are no investigations of the effects of upper body warm-up on injury prevention outcomes. The 31 included studies investigated 25 warm-up modes using 43 outcome measures, rendering meta-analysis impractical for all modes except baseball-specific warm-up. To facilitate analysis, we used a simple classification system using ‘positive’, ‘neutral’ or ‘negative’ based on study outcomes in addition to meta-analysis to highlight several observable trends. These trends are summarised below according to the warm-up mode category, along with a classification of the level of evidence present to support these trends. Studies classified as having ‘specific effects’ on investigated outcomes, as well as a study that investigated the joint effects of two warm-up modes from different categories,10 were not included in analyses resulting in level of evidence classifications, but are discussed where relevant. The effects of warm-up using dynamic exercises, including steady state, power, body weight and weighted exercises targeting the upper extremities, were investigated in 15 included studies and 56 warm-up/outcome pairings.10–24 Exercises classified as being ‘dynamic’ can be found in table 6. Each upper body dynamic warm-up was also further distinguished with a ‘high’ or ‘low’ load classification to analyse the results in the context of the theory of postactivation potentiation, a theory proposing that higher load dynamic warm-ups most effectively augment performance through increased intramuscular Ca2+ and cross-bridge cycling.25 Sprints, fatiguing isokinetic contractions, plyometrics, steady-state kayak ergometer warm-up at an anaerobic threshold and repeated concentric contractions at a greater than 20% maximum effort were classified as ‘high-load’ warm-ups. Investigated ‘low–load’ dynamic warm-ups were isokinetic warm-ups performed with minimum effort, a low-intensity arm ergometer exercise and repeated gripping of a sponge. In support of the postactivation potentiation theory, the effects of high-load dynamic warm-ups were overwhelmingly positive, with 16 of 21 mode/outcome pairings reporting a positive outcome. This yielded level 1 evidence of the positive effects of high-load dynamic warm-up on strength12 ,16 ,20 and power15 ,17 ,19 outcomes, as well as level 2 evidence of these positive effects on flexibility12 ,20 and delayed onset muscle soreness (DOMS)12 ,20 outcomes. Level 3 evidence was found regarding physiological12 ,15 ,20 ,21 and passive indicator12 outcomes. Thus, consistent with the theory of postactivation potentiation and the findings of DeRenne,26 there is strong evidence that high-load dynamic warm-up enhances upper body power and strength performance, while low-load dynamic warm-ups do not appear to be effective at enhancing any performance variables. Only one study investigated high-load dynamic warm-ups—five reps of 50%, 75% and 100% 5 repetition maximum (RM) bench press19—but did not report positive strength or power outcomes, suggesting that high-load dynamic warm-ups can be recommended for enhancing strength or power outcomes regardless of the specific mode used. Future investigations should focus on determining the optimum load and duration of high-load dynamic warm-up for maximum performance enhancement. Low-load upper body warm-up modes do not appear to have any effect on performance outcomes. A subset of dynamic warm-up, studies of warm-up via maximum effort dry swings of baseball bats of various weights have been analysed separately because their identical outcomes (baseball bat speed) enable meta-analysis. Only four of the five studies of baseball-specific warm-up included in this review could be combined for meta-analysis;27–30 the Southard and Groomer31 study was excluded from the meta-analysis because bat speed was measured at a different point on the bat and SDs were not reported. The meta-analysis revealed level 1 evidence that dry swing warm-up is a significantly more effective means of enhancing bat speed outcomes when performed with a standard weight bat versus heavyweight and lightweight bats; the Southard and Groomer31 study reported similar results to the meta-analysis. The decrease in bat speed reported following the weighted bat warm-up may also have been influenced by the extremely short duration of each bat swing or the mandated rest period between swings in each study (at least 5 s); 4–5 isolated dry swings with a heavy bat may not work the musculature enough to produce the anticipated post activation potentiation from this higher loading warm-up. The threshold of muscle activity necessary to produce a postactivation potentiation response, however, does not appear to be extremely high, given that Higuchi et al29 reported that five sets of 5 s maximal isometric contractions in a batting stance, separated by a 5 s rest, significantly increased bat speed. Further high-quality investigation is required to explain why dry swing warm-ups with a standard weight bat are most effective. Specifically, this research should include highlighted factors such as determining the minimum duration of muscle activity necessary to elicit a postactivation potentiation response, the relationships between perceived and observed performance outcomes, and the importance of task-specific equipment in warm-up to enhance performance outcomes. Only one included study investigated the effects of maximum isometric contraction warm-up and found that 5 s of maximum isometric contraction warm-up significantly increased baseball bat speed.29 Given that maximum isometric contraction is a high-load, albeit static, warm-up mode, this isolated result makes sense in the context of postactivation potentiation but needs to be validated by further research. Thus, the only strong evidence present in the literature is that short-duration upper body static stretch warm-ups can be conducted without decreasing power,17 ,32–34 a finding that is consistent with previous reviews of total and lower body static stretch warm-up.38 ,39 Further investigation is necessary to confirm the level 3 finding that long-duration static stretching can also be performed without power decrement, and also to clarify the effects of both long-duration and short-duration static stretching on strength, accuracy, physiological and endurance outcomes. 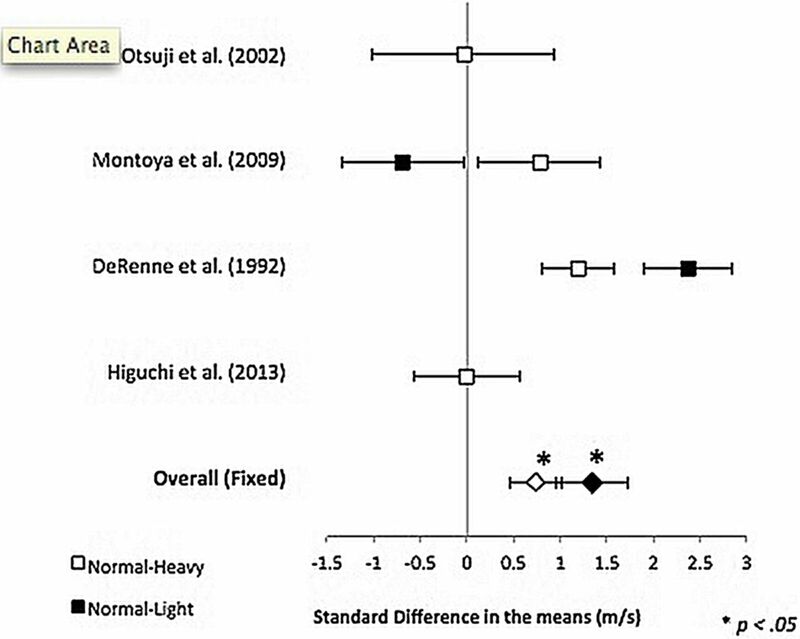 Only two included32 ,9 studies investigated the effects of dynamic stretching warm-up on four total outcomes, with Torres et al32 reporting that dynamic stretching had no effect on a variety of upper body force and power measures (see table 3), and Moran et al9 finding that dynamic stretching increased golf club head speed and accuracy. Given these mixed results, the evidence is classified as level 3. The absence of reported negative outcomes suggests that upper body dynamic stretching warm-ups can most likely be performed without negative effects. The benefits of upper body dynamic stretching warm-up, however, need to be clarified with further investigation. The two included studies35 ,36 of upper body proprioceptive neuromuscular facilitation (PNF) stretching warm-ups found that PNF stretching had no effect on strength outcomes36 but negatively impacted endurance outcomes.35 Evidence is classified as level 3. No studies investigated the effects of upper body PNF stretching warm-up on flexibility outcomes—the main reported benefit of PNF stretching40—so the utility of this warm-up mode in the upper body remains unclear (table 6). Passive heating and/or cooling appear to have extremely limited use as a warm-up mode, with the only positive outcome being that passive heating warm-ups positively affect flexibility outcomes for up to 8 days following fatiguing eccentric exercise (level 1 evidence).12 ,13 ,41–43 The acute effects of passive heating warm-up were not investigated. Level 1 evidence also supported the conclusion that passive heating or cooling warm-ups do not affect DOMS,12 ,13 ,41–43 or strength12 ,13 ,18 ,41–43 outcomes. Level 2 evidence shows that passive heating warm-ups do not have any impact on endurance outcomes,18 ,44 and level 3 evidence suggests that neither passive heating nor passive cooling warm-ups impact passive indicator,13 ,41–43 physiological13 ,18 ,42 or power18 outcomes. Thus, the only notable conclusion that can be presented regarding upper body passive heating and/or cooling warm-up is that passively heating muscles before a fatiguing eccentric exercise is likely to significantly minimise losses in flexibility in the days following the fatiguing exercise. Future investigations should focus on any acute flexibility benefits from upper body passive heating warm-up; however, the benefits of this warm-up on performance outcomes seem to be limited. Upper body vibration warm-ups were investigated in two included studies and six warm-up/outcome pairings,22 ,24 with limited results. Vibration warm-up was found, with level 2 evidence, to have no effect on physiological outcomes22 ,24 and, supported by level 3 evidence, has no effect on passive indicator outcomes24 and mixed effects on power outcomes.22 ,24 Of note is the fact that vibration warm-up was performed with the participant lying prone on a bench in both studies of power outcomes, with prone row power experiencing significant postwarm-up improvements,22 but not 50 yard freestyle swim time.24 As such, there may be a level of similarity between vibration warm-up mode and activity necessary to achieve performance benefits. We found no studies of upper body warm-up with injury prevention outcomes. Thus, while warming-up for injury prevention purposes is popular, this practice is not yet supported by evidence for upper body activities. The American Academy of Orthopaedic Surgeons notes that 5 of the 10 most common orthopaedic injuries occur in the upper extremity45 and it recommends, along with many others,1–3 warm-up as an important part of an injury prevention plan. Thus, there is a clear need for high-quality scientific research evidence to support these warm-up recommendations currently based only on theory, sporting experience and anecdotal evidence. The current literature on upper body warm-up covers a wide range of warm-up modes and performance outcomes (25 modes, 43 outcomes). Several trends may guide future research and clinical practice. For the most part, results were consistent with findings of previous reviews of total and lower body warm-up. We found strong evidence that high-load dynamic upper body warm-ups enhance both strength and power outcomes. There may, however, be a minimum duration of muscle loading (exceeding 4–5 dry swings of a weighted baseball bat) for these warm-ups to have the desired effect. Task-specific warm-ups were effective when used in baseball; however, no evidence exists to support task-specific warm-up in other domains. Upper body static stretching warm-ups of a duration ≤60 s had no impact on power outcomes. Long–duration (>90 s) static stretching can also be conducted without performance decrement, but more data are needed to validate this finding. Passive heating/cooling warm-ups do not appear to have any significant acute performance effects, although flexibility in the days following fatiguing eccentric exercise can be enhanced with this mode of warm-up. Additional studies are needed to clarify the effects of upper body maximum isometric contraction, dynamic and PNF stretching, and vibration training warm-ups. Further investigation is especially needed across all warm-up modes to validate recommendations of using warm-up as a means of injury prevention. Based on the evidence of this review, an optimum upper body warm-up regimen should contain a combination of high-load dynamic warm-ups to enhance performance and short-duration (<60 s) static stretching for flexibility gains. Assuming at least a general application of previously noted correlations between flexibility and injury risk46 ,47 to the upper body, these flexibility gains may have some preventative effects. A simple and effective general shoulder warm-up, for example, could involve a combination of high-intensity activities to induce postactivation potentiation in all three planes of movement, along with static stretching of the pectorals, trapezius, latissimus dorsi and deltoids to maintain flexibility. The high-load exercises and static stretches to be used in sport-specific warm-ups should closely mirror the required movements and mechanics of the sport (eg, throwing, batting) rather than using only a general protocol. As noted previously, further research is necessary to validate the efficacy task-specific warm-up in domains beyond baseball and static stretching for injury prevention. Our systematic review found strong evidence for the following: high-load dynamic warm-ups enhance power and strength performance; warm-up swings with a standard weight baseball bat are most effective for enhancing bat speed; short-duration static stretching warm-up has no effect on power outcomes; and passive heating/cooling is a largely ineffective warm-up mode. Maximum isometric contraction may also enhance performance variables. Dynamic stretching and long-duration upper body static stretching warm-up may be able to be performed without adverse performance effects. A striking knowledge gap in upper body warm-up literature is the lack of investigation of injury prevention outcomes. A common recommendation of using warm-up exercises to prevent upper body injuries is not supported by any investigations. There is strong evidence that dynamic, high-load upper body warm-ups effectively enhance strength and power outcomes. Using static stretching in upper body warm-ups that last less than 60 s can be prescribed to enhance flexibility without impacting power and strength outcomes.
. Warm-up programmes in sport. BMJ 2008;337:61–2.
. Principles of injury prevention. In: Brukner P, Khan K, eds. Brukner & Khan's clinical sports medicine. Sydney: McGraw-Hill, 2012:81.
. DeLee & Drez's orthopaedic sports medicine: principles and practice. Philadelphia: Saunders/Elsevier, 2010.
. Mechanisms of anterior cruciate ligament injury. Orthopedics 2000;23:573–8.
. Manual therapy treatment of cervicogenic dizziness: a systematic review. Man Ther 2005;10:4–13.
. Method guidelines for systematic reviews in the Cochrane Collaboration Back Review Group for Spinal Disorders. Spine 1997;22:2323–30.
. Dynamic stretching and golf swing performance. Int J Sports Med 2009;30:113–18.
. Improving golf performance with a warm up conditioning programme. Br J Sports Med 2004;38:762–5.
. Effect of warm-up exercise on delayed-onset muscle soreness. Eur J Sport Sci 2011;12:1–7.
. Influence of previous concentric exercise on eccentric exercise-induced muscle damage. J Sports Sci 1997;15:477–83.
. Effects of warm-up before eccentric exercise on indirect markers of muscle damage. Med Sci Sports Exerc 2002;34:1892.
. The effect of three different warm-up intensities on kayak ergometer performance. Med Sci Sports Exerc 2001;33:1026–32.
. The effect of an intermittent, high-intensity warm-up on supramaximal kayak ergometer performance. J Sports Sci 2003;21:13–20.
. Acute explosive-force movements enhance bench-press performance in athletic men. Int J Sports Physiol Perform 2006;1:261–9.
. Acute effects of static stretching, dynamic exercises, and high volume upper extremity plyometric activity on tennis serve performance. J Sports Sci Med 2012;11:600–5.
. Effect of linear polarized near-infrared light irradiation and light exercise on muscle performance. J Physiol Anthropol 2011;30:91–6.
. The acute effects of prior dynamic resistance exercise using different loads on subsequent upper-body explosive performance in resistance-trained men. J Strength Cond Res 2005;19:427–32.
. Effect of a concentric warm-up exercise on eccentrically induced soreness and loss of function of the elbow flexor muscles. J Sports Sci 2010;28:1377–82.
. Effects of specific warm-up at various intensities on energy metabolism during subsequent exercise. J Sports Med Phys Fitness 2000;40:126–30.
. The acute effect of vibration exercise on concentric muscular characteristics. J Sci Med Sport 2008;11:527–34.
. Sling exercise and traditional warm-up have similar effects on the velocity and accuracy of throwing. J Strength Cond Res 2011;25:1673–9.
. Acute effect of upper-body vibration on performance in master swimmers. J Strength Cond Res 2010;24:3396–403.
. Postactivation potentiation: role in human performance. Exerc Sport Sci Rev 2002;30:138–43.
. Effects of postactivation potentiation warm-up in male and female sport performances: a brief review. Strength Cond J 2010;32:58–64.
. Effects of warm up with various weighted implements on baseball bat swing velocity. J Strength Cond Res 1992;6:214–18.
. Effect of warm-up with different weighted bats on normal baseball bat velocity. J Strength Cond Res 2009;23:1566–9.
. The acute and chronic effects of isometric contraction conditioning on baseball bat velocity. J Strength Cond Res 2013;27:216–22.
. After-effects of using a weighted bat on subsequent swing velocity and batters’ perceptions of swing velocity and heaviness. Percept Mot Skills 2002;94:119–26.
. Warm-up with baseball bats of varying moments of inertia: effect on bat velocity and swing pattern. Res Q Exerc Sport 2003;74:270–6.
. Effects of stretching on upper-body muscular performance. J Strength Cond Res 2008;22:1279–85.
. Effects of acute static stretching of the throwing shoulder on pitching performance of national collegiate athletic association division III baseball players. J Strength Cond Res 2010;24:452–7.
. Stretching has no effect on tennis serve performance. J Strength Cond Res 2004;18:654–6.
. Acute effects of different stretching exercises on muscular endurance. J Strength Cond Res 2008; 22:1832–7.
. Effects of low- and high-volume stretching on bench press performance in collegiate football players. J Strength Cond Res 2010;24:711–16.
. Effects of passive stretching on post-activation potentiation and fibre conduction velocity of biceps brachii muscle. Sport Sci Health 2008;4:43–50.
. A review of the acute effects of static and dynamic stretching on performance. Eur J Appl Physiol 2011;111:2633–51.
. To stretch or not to stretch: the role of stretching in injury prevention and performance. Scand J Med Sci Sports 2010;20:169–81.
. Proprioceptive neuromuscular facilitation stretching: mechanisms and clinical implications. Cham: Adis International, 2006:929–39.
. Prophylactic effect of hot pack on symptoms of eccentric exercise-induced muscle damage of the wrist extensors. Eur J Sport Sci 2012;12:443–53.
. Effects of deep heat as a preventative mechanism on delayed onset muscle soreness. J Strength Cond Res 2004;18:155–61.
. Influence of pre-exercise muscle temperature on responses to eccentric exercise. J Athl Train 2004;39:132–7.
. Effect of passive warm-up on muscular strength and endurance. Res Q Am Association Health Phys Educ Recreation 1964;35:45–59. Surgeons AAoO. 10 Common Orthopaedic Injuries, 2014.
. Risk factors for hamstring muscle strain injury in sport: a systematic review and meta-analysis. Br J Sports Med 2013;47:351–8.
. Hamstring strain injuries. Sports Med 2012;42:209–26. Contributors All three authors collaborated to provide the concept and focus for this review, have approved the manuscript, and agreed to be accountable for all aspects of the work. 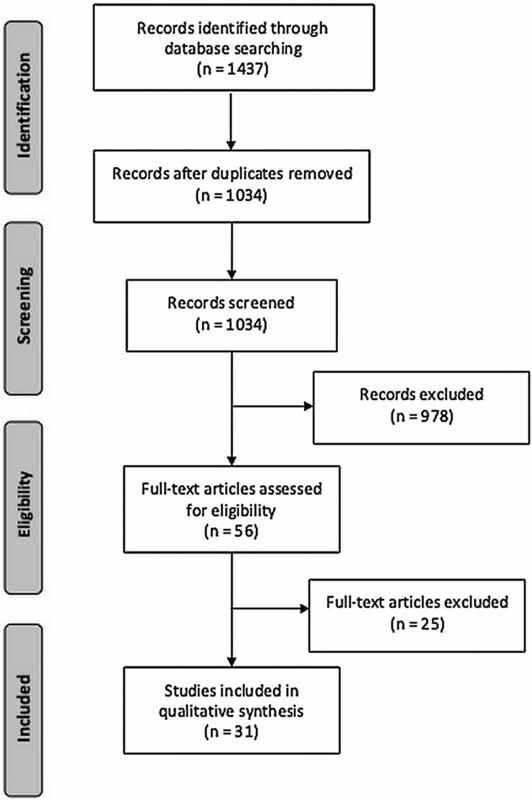 JMM performed the literature searches and selected the articles to be included in this systematic review. He also synthesised, analysed and summarised the positive/neutral/negative/specific outcomes of included articles, scored the included articles according to the PEDro scale, and drafted the introduction, methods, results, and the majority of the discussion and conclusion. BJA drafted portions of the discussion and conclusion, made significant revisions to the entire manuscript, and served as a consultant for the PEDro scoring and analysis of outcomes. MH scored the included articles according to the PEDro scale, performed the meta-analysis, made significant revisions to the entire manuscript, and served as a consultant regarding the analysis of outcomes. Funding JMM was supported by the Australian-American Fulbright Commission.